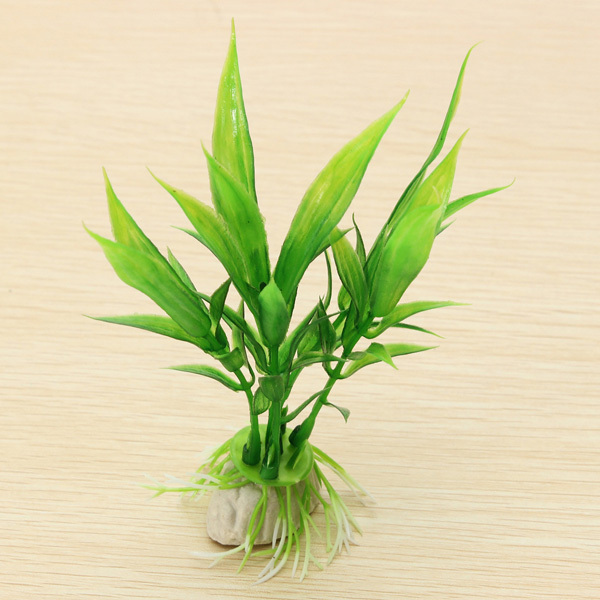 ?This artificial plant is great for fish tank decoration. ?The plants are anchored with a weighted ceramic base, so they will stay where they placed in the tank. ?Absolutely safe for fish, they won’t die, rot or cause any algae problems. 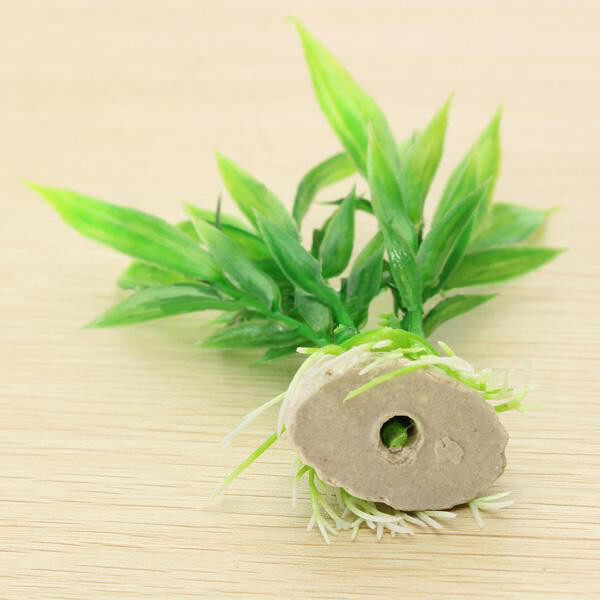 ?Provides a beautiful decoration for your aquarium. ?An excellent hiding place for fish which adds extra fun to play. 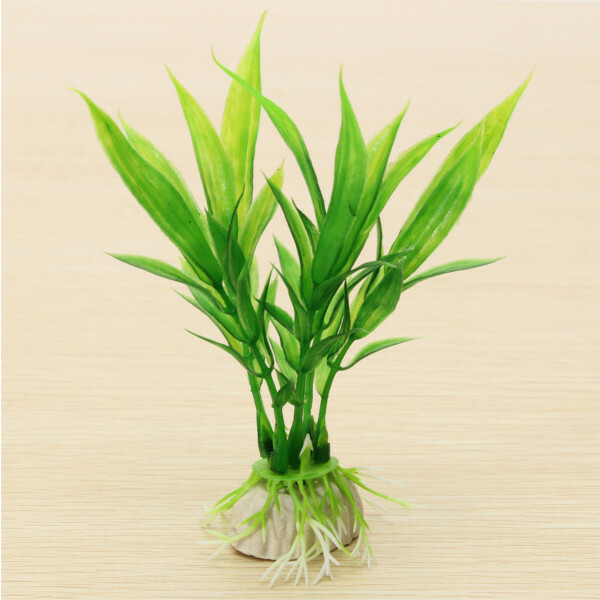 ?Plastic foliage cleans easily with warmwater. ?It is vividly and color detailed to add lively and natural life to your tank.